Leading tertiary college goes paperless to reduce the administrative burden, allow for more effective meeting management and to alleviate the cost of paper-based meetings. Exeter College provides tertiary education for around 10,000 to 12,000 students and was judged as outstanding by Ofsted in a pilot “no notice” inspection in 2012, and again in a full inspection in 2014. The college was also awarded the Times Educational Supplement ‘Outstanding Provider of the Year in 2012 and BTEC College of the Year in 2014. 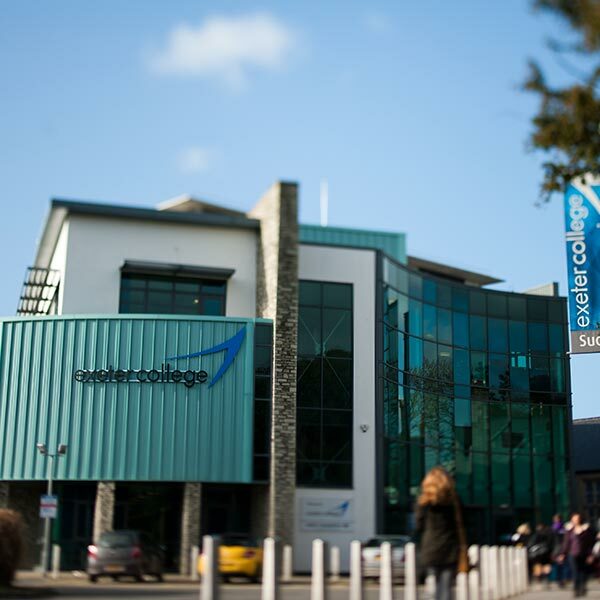 Exeter College was established in 1970 as the first tertiary college in the UK, providing all post-16 education and training for the city of Exeter, bringing together the former grammar schools’ sixth forms and Exeter Technical College. With a board of around twenty governors including students, staff members and external members, it is essential that the college can deliver meeting papers to each member in a timely and consistent manner ahead of meetings. Furthermore, the system it uses for this must allow for last minute updates by the administrative team prior to meetings and accommodate for some members working in differing time zones. Barbara Sweeney, Clerk to the Corporation, Exeter College, comments: “There were two main drivers behind our engagement with MeetingSquared. At a recent annual appraisal, several of our board members, from both the private and public sectors, advised that whilst papers were reaching them in a timely fashion, it could be difficult to access them when working nationally or internationally. This meant they were often unable to review them until they returned to Exeter. “We also found that some of the other e-solution providers we looked at did not fully meet our data protection requirements. We were recommended eShare by another college and quickly identified that meeting management solution addressed this issue head on. MeetingSquared is an easy to use meeting management app for iPad. The application allows users to access all meeting information, documents and agendas securely. Documents and meeting packs become interactive, allowing board members to make notes whilst on the move. This flexibility allows staff and governors to focus on meaningful activities such as the provision of excellent teaching. Not only has the solution been easy to use, but since integrating MeetingSquared about six months ago, Exeter College is already seeing a number of other benefits too. “The solution has been universally welcomed and one of the biggest benefits is that we’re able to be more green – and make substantial savings on paper and printing costs. It’s also invaluable that we’re able to be more flexible when members are working away from home so they are still able to review and update the papers once they’ve been changed. We can now make last-minute changes, upload and advise members and once refreshed, they can instantly review the latest version. “Fundamentally, the ability to annotate documents has been crucial, enabling more effective and efficient decision-making,” concludes Sweeney. Find out how you can improve your meetings with MeetingSquared.